Please support my friend Farah (http://farahramos.wordpress.com) as she launches "Spotlight Saturdays" later tonight (May 26) in 2F Il Terrazzo, Tomas Morato. 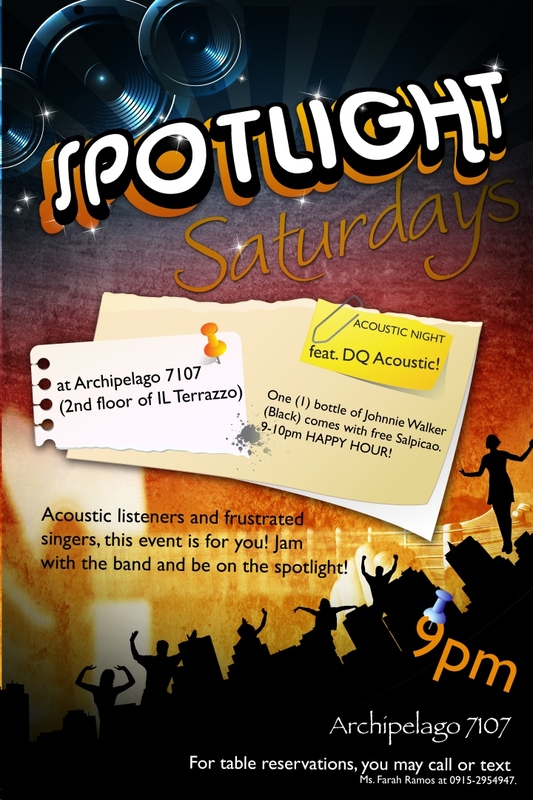 DQ Acoustic will be the guest band and everyone is free to jam with the band during the open mic. It's gonna be a fun yet "chillax" night with your friends.